The OCCC is on the brink of a major transformation with the construction of two new projects that will drastically improve the North/South building. The Convention Way Grand Concourse and an all-new Multipurpose Venue will provide even more meeting and event space for planners and attendees. The center boasts a convenient location and affordable accommodations just steps away, plus nearby attractions and activities to keep athletes and event attendees entertained off the field. It really is the ideal place for a sports event in Orange County, Florida. No matter the event, the Orange County Convention Center can handle it. The Orange County Convention Center has hosted the following athletic-based programs: volleyball (USA Volleyball), basketball, cheerleading, gymnastics, Taekwondo and Zumba. The Orange County Convention Center is an award-winning facility that provides space for sports events of all kinds. The center’s broad offering of exhibitor services and management assistance make it one of the best in the industry. 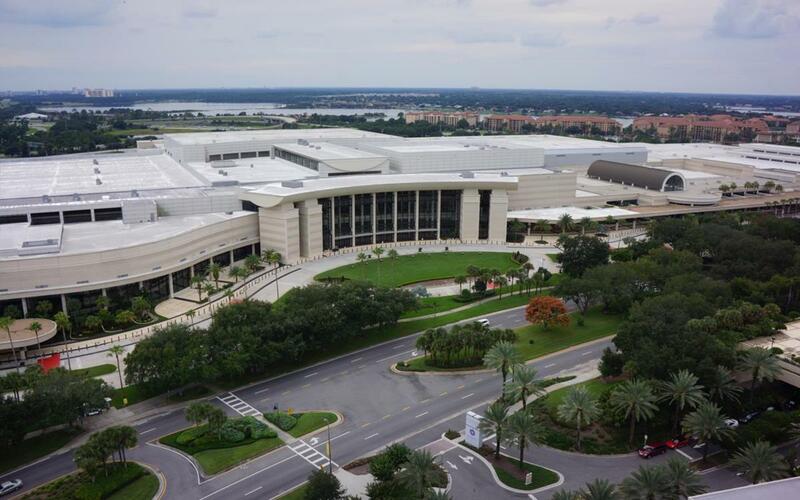 Located in the heart of Orlando’s tourism corridor, the award-winning Orange County Convention Center (OCCC) provides space for a variety of event options in two beautifully appointed buildings. The Center’s West Concourse showcases tropical atriums, skylights and intimate courtyards, and has welcomed more than 34 million visitors since opening in 1983. Located 15 minutes from Orlando International Airport, the OCCC is situated close to more than 118,000 hotel rooms, including more than 5,000 directly connected to the facility by a pedestrian bridge. When completed in 2003, the Orange County Convention Center’s North/South building brought the total exhibition space to 2.1 million square feet. The building is connected to the West Concourse with the Oversight Pedestrian Bridge, a 1,500-foot span with moving sidewalks. With its distinctive architecture and tropical ambiance, the North/South building delivers a space that is customizable and functional for a myriad of events. The Center’s broad offering of show management and exhibitor services, ranging from catering to telecommunications, are considered some of the finest in the convention industry. If you need more space for your sports events, there are a few other options nearby. The Amway Center is an indoor arena that was part of the Orlando Centroplex. Camping World Stadium and Orlando City Soccer Stadium are located just west of the Amway Center in downtown Orlando. Orange County has an abundance of incredible attractions to keep athletes, their families and fans entertained before and after a tournament, and even in between games. And the area continues to boom with even more attractions slated over the next few years. International Drive (or I-Drive) Resort Area, known as Orlando’s tourism corridor, continues to be a top place to visit in Orange County. The ever-expanding ICON Orlando 360 entertainment complex is home to the ICON Orlando, the star attraction at this tourist hot spot. The 400-foot observation wheel stands as the centerpiece of the complex, which also features a dynamic mixture of restaurants, other attractions, productions and shops. Orlando is home to six of the world’s top 25 theme parks, which means there is no end to the fun visitors can have when they have an event at the Orange County Convention Center. Check out Universal’s Orlando Resort™ and SeaWorld for some great family entertainment. If theme parks aren’t your thing, there’s plenty more to see and do: SEA LIFE Orlando Aquarium, Topgolf Orlando, Pirate’s Cove Adventure Golf and much more. Visitors can get their retail fix at the Orlando International Premium Outlets, which features nearly 200 popular shops or Pointe Orlando for a mix of dining and shopping fun. 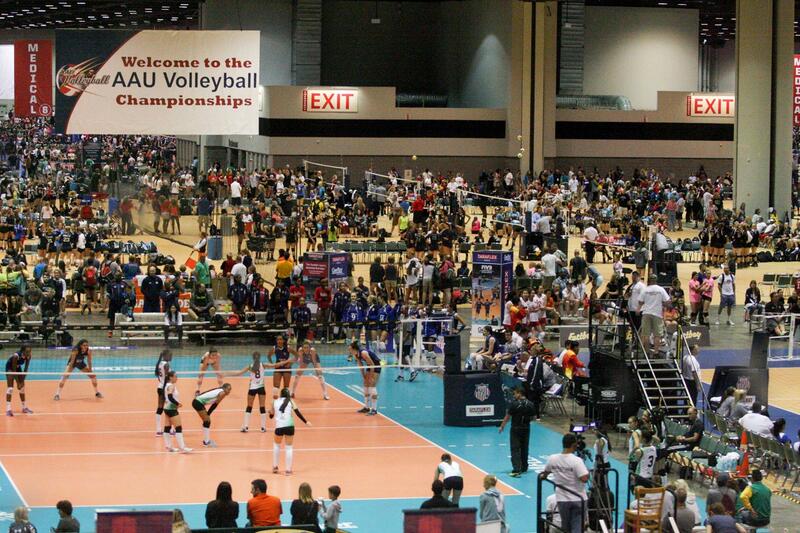 The Orange County Convention Center is our go-to partner when it comes to hosting successful events for USA Volleyball. We consistently rely on the outstanding OCCC team to assist us in planning and executing several events each year, including the 600+ team ASICS Florida Volleyball Challenge. Their modern and quality facilities are both spacious as well as flexible to meet our every need. Their updated amenities are only surpassed by the first-class service their staff provides us. The Orange County Convention Center facility has truly earned the title of being the Center of Hospitality. Orange County and the Orlando area are easily accessible for most people all over the country and just as easy for international attendees. It’s within a few hours’ drive of many major cities in the Southeastern portion of the U.S., offering an affordable transportation option for teams nearby. Both area airports—Orlando International Airport (MCO) and Sanford Orlando International Airport (SFB)—continue to expand their non-stop routes and are served by most major airlines. Amtrak offers four trains through Orlando, connecting the city to many major cities along the East Coast. 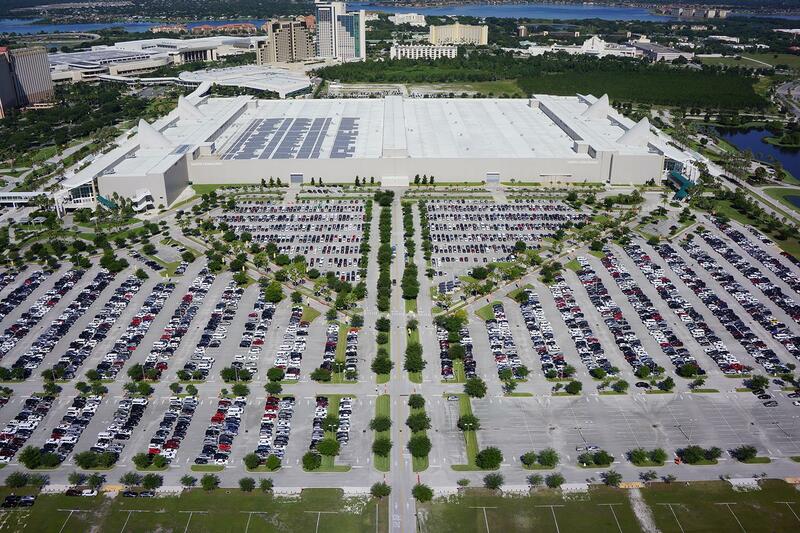 The Orange County Convention Center is located just minutes from Orlando International Airport (MCO) and is a short drive from downtown Orlando. Sports planners looking to host an event in Orlando will find everything they need at the Orange County Convention Center: loads of space, great amenities and service, convenient accommodations and plenty of fun. 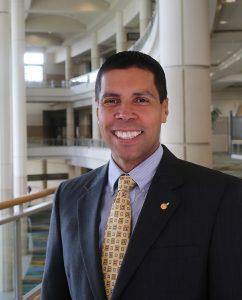 One of the largest convention centers in the country, the Orange County Convention Center in Orlando is not only known for its space, but also for its hospitality.